The printed badge offers a wide variety of shapes and colours, full colour printing in any design. It is resin coated for protection and durable wearing. These Badges are either laser cut or dye cut into specific shapes. Printed Domed Lapel Badges can be done on either a metal base or a plastic base. 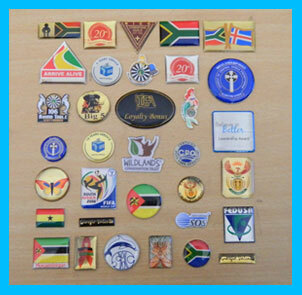 Our Printed Domed Lapel Badges are of the best quality. Attachments include, Butterfly clutches, Studs, Brooch pins and magnets. We can produce any size Badge as required to your logo and attire.